To complete every task given to you without stress or rushing, you need to manage your time using the best methods and resources. Build skills to perform your duties brilliantly by taking Foundation Skills for Administrative and Executive Assistants Training Course delivered by pdtraining in Boston, Charlotte and other cities in the U.S.
Time is more difficult to manage for those who have to take care of various kinds of tasks in a day. Executive assistants receive urgent tasks on a short notice, perform their every day duties, and also manage people and materials. 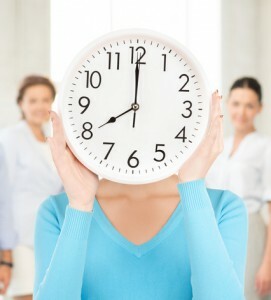 To complete tasks amidst the madness, executive assistants must optimize their time. Below are the five most effective methods of time management. - Urgent – Tasks that need to be taken up before all other tasks. You must prioritize the urgent tasks by keeping the most important one at the top. After you have finished the first urgent task, cut it out or delete it so that the next urgent task gains the highest priority. - Important – Tasks that need your attention, but not immediately, can come below the urgent tasks. - Can Wait – These are tasks that you need to give time to, but can be done later. Whenever you get time from the urgent and important tasks, you must attend to these tasks. We all have our best hours when we are the most energetic and keen to get the work done. These hours give you the best performance. If your work hours allow you to, you must use your best hours to do the most important tasks. These tasks must be those that require good concentration and/or fast output. Similarly, you can keep mechanical tasks, such as updating records, for hours when you are not very motivated to work hard. It is true that you won’t be able to follow this method every time, but when you can, it will help you to feel less tired and stressed while you complete all your daily duties successfully. Even if you can only plan your next day one day in advance, you must do it. Creating a simple schedule for your work, even if in your mind, helps you to stay organized. For example, if you thought that you would give the first one hour of your day tomorrow to making phone calls, you are mentally prepared for it the next day. On the other hand, if you step into the office without planning, you will lose precious minutes in deciding which task to pick up first. You may help out your colleagues when they genuinely need your help, but do not take on others’ responsibilities regularly. You must create a boundary of which tasks you must do and which ones others are required to do. If you cannot accommodate a request for assistance, you may politely guide the other person on how he or she can quickly complete the task instead of refusing the person bluntly. The first time you record how much time you spend on your daily activities, you will be surprised to know how much of your time gets wasted in irrelevant things. You can use time tracking software to see how much time you are spending on a specific task. It will give you insight into your work habits and will give you a solid grounding to make improvements upon.